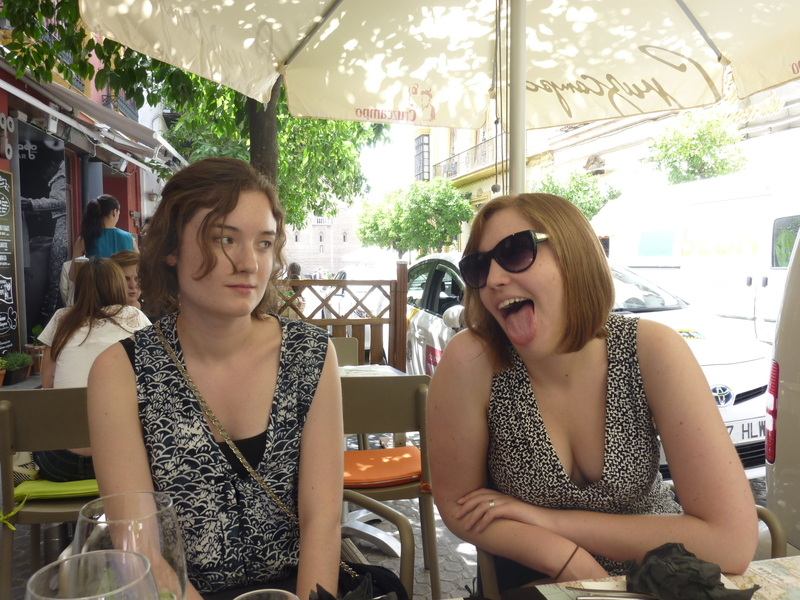 There I was, minding my own business (and by that I mean blatantly staring at every person walking by) while having a late lunch in Sevilla. The sun had finally descended behind the restaurant, and for the first time that day the plaza was comfortably warm instead of exhaustingly sweltering. I took a sip of my tinto del verano between tapas courses and returned to watching la gente walk by, guessing at their nationalities and backstories. A few stores down the sidewalk, I saw two women, one slightly older than the other, each holding an armful of shopping bags. The store names on each bag traced their last few hours: Zara, Mango, Sabina. The bag rippled as the woman’s uneasy ambling brought her closer with each high-heeled step. It couldn’t be. I must’ve read it wrong, I thought. As she neared my table, the bag smoothed out enough to decipher the cursive store logo: Sabina. As soon as she passed, though, I regretted not asking. My name is never on anything, and it would be really exciting to see it on a storefront. I can speak Spanish well enough to ask directions, why couldn’t I just talk to her? I gave myself a mini internal kick. The woman appeared again, this time walking the other direction. GO!! YOU CAN DO IT!! 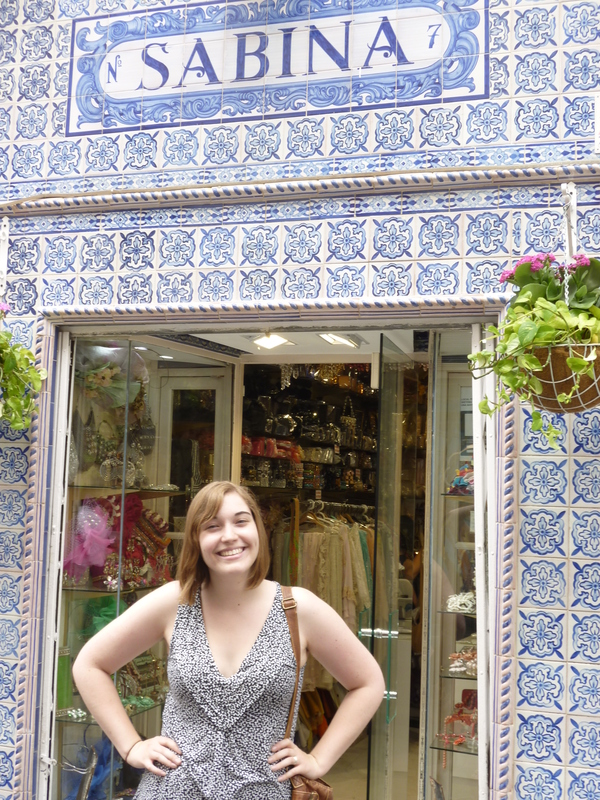 But my legs wouldn’t budge, and she soon dissolved into the jagged streets of Sevilla. Then began the wild store chase. I told the waiter about the woman with the bag and asked if he knew the store. He thought for a second, then asked the restaurant’s bartender. No luck. 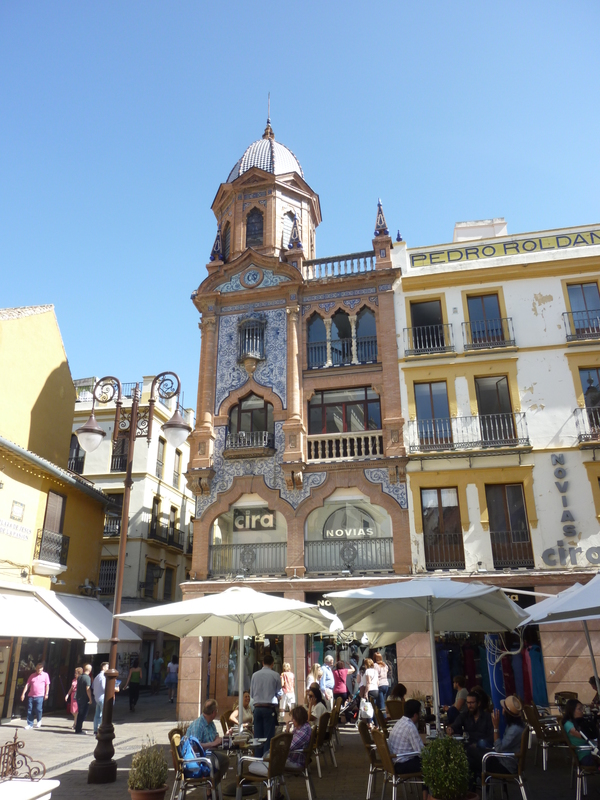 Off we went to the main shopping street in Sevilla, wandering calmly but with a clear mission. It didn’t feel right asking in clothing stores for directions to a different clothing store, so I ducked into Lush. “Act like you’re looking at the bath stuff,” I told my mom, and mustered up the courage to ask a employee who was rearranging soaps and obviously pretending to be much busier than she really was. When I asked about the store, she put her hand on her chin in an automatic “I’m thinking” gesture. I hoped that her hot pink lipstick was a sign that she cared a lot about her appearance and thus would know the place. She shook her head, and then called to her two coworkers to ask if they knew of Sabina. The coworkers didn’t know the store either. I abandoned my moral principle of not asking in clothing stores and entered Desigual, where the signature layout includes three adjacent mannequins wearing the same bizarre outfit. Once again, the employee I asked had no idea. I figured the store must not be nearby, otherwise someone would’ve at least heard of my eponym. We gave up and went home. A two-minute Google search later, I’d found the street address. A five-minute walk and a mostly stifled squeal later, I’d found my namesake. Worth the work – since the store looks as beautiful as you. Did you make a purchase and get your own shopping bag as well? Nice story Sabina! I wish! Things were pretty expensive, but it would’ve been cool to have the bag for sure. Thank you!! Thanks! And that’s awesome–it’s great to find it when you’re not expecting it. It’s a great looking shop! As a Brit with the name Elena (pronounced El-len-a rather than the traditional Spanish pronunciation), you can never find my name on stuff in the UK so I love going to Spain because suddenly my name is quite common – it’s even the name for a brand of washing powder.